Another participant in Shane's ratio debate was Bosley Crowther, chief film critic for The New York Times. Crowther filed a 5/3/53 report on the Music Hall's premiere of the film ( ... on a screen of enlarged and slightly altered proportions ..., said Crowther), comparing this event with a preview screening he had earlier attended. The critic minced few words: Let's not be secretive about it: "Shane" on the Music Hall's large screen looks not one whit better to this viewer than it did on the screen of a preview room. For purposes of comparison, we caught the film first in a preview where its handsome display of western drama filled the whole end wall of the small room. And then we saw it in the theatre, where the ratio of the screen was slightly changed --- not quite as tall as usual in proportion to the width --- and we've got to confess the grandeur of it was slighter, if anything. 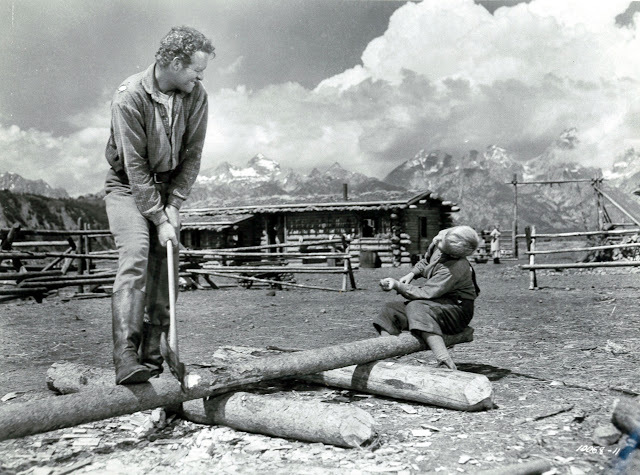 Crowther went on to address what he called the "critical question": Does the moderate enlargement of the screen and the slight alteration of its aspect ratio really do anything to improve the pictorial magnificence and dramatic qualities of such a fine film as "Shane"? It is the opinion of this viewer, based on studious observation, that it does not. If anything, the fractional narrowing of the shape of the screen cuts it down. It's worth noting again that Bosley Crowther saw both the full-frame and widescreen versions of Shane in 1953 and posted what was, based on his expertise and experience, an informed comparison of the two. 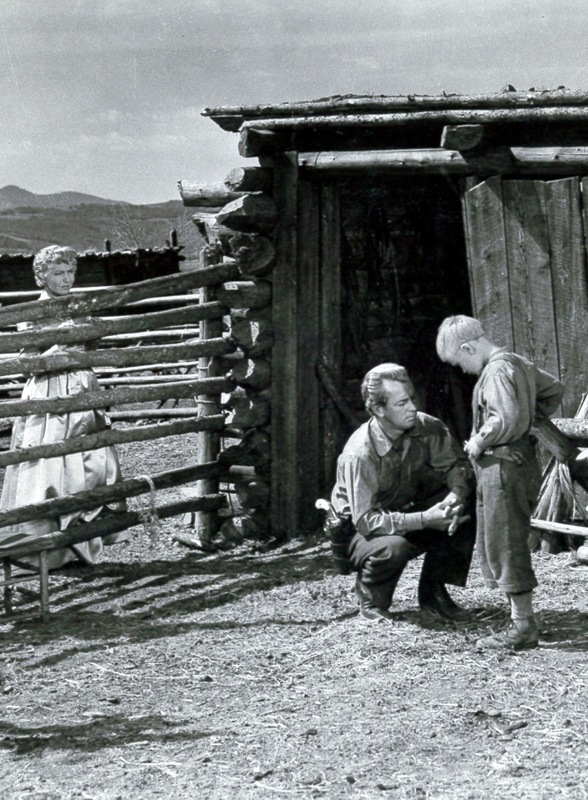 His concluding words should be heeded sixty years later as Shane is prepped for Blu-Ray release: Many of its separate compositions are in the up-and-down vertical plane --- just as many are in the horizontal --- so the post-imposed narrowing of the frame detracts just that much from the harmony of the vertical images. 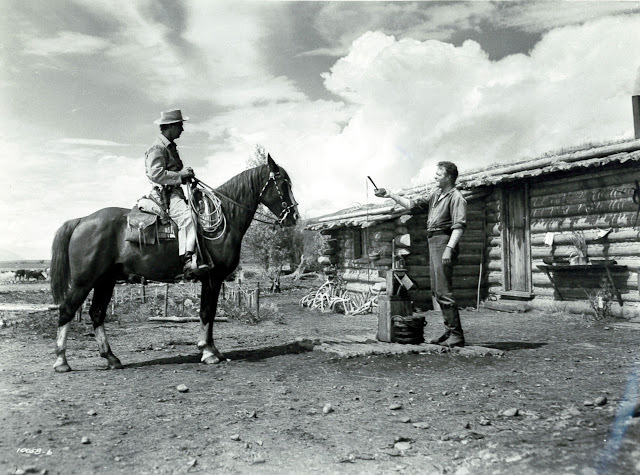 George Stevens stepped to the plate on 5/8/53, speaking to Variety in New York just before departure west to promote Shane. New screens to stimulate and hold audience interest must have height as well as width, said Shane's director, who warned that it's wishful thinking and nothing more to look at the large screen and see in it the miracle that will cure the films' problems. Stevens didn't expound beyond this; maybe he felt he'd said too much already. The last thing GS needed was quotes that might queer Shane's boxoffice, which was off to a boffo start. Otherwise, this was one director who'd never shrink from a fight insofar as integrity of his work was concerned. He'd go to a hard mat against Paramount and NBC in 1966 on behalf of A Place In The Sun when the network proposed to edit and fill with commercial interruptions his 1951 feature (here is Greenbriar's 6/2/08 coverage of that headline confrontation). 11/21/66 Was The Date. Anyone Have a Transcript? As to whether George Stevens ever addressed himself directly to Shane's ratio debate, I could find no quotes other than his 5/8/53 remarks to Variety, however, there was a much later (11/21/66) appearance by the director at the University Of Wisconsin in Madison where he spoke to students after a campus showing of Shane. 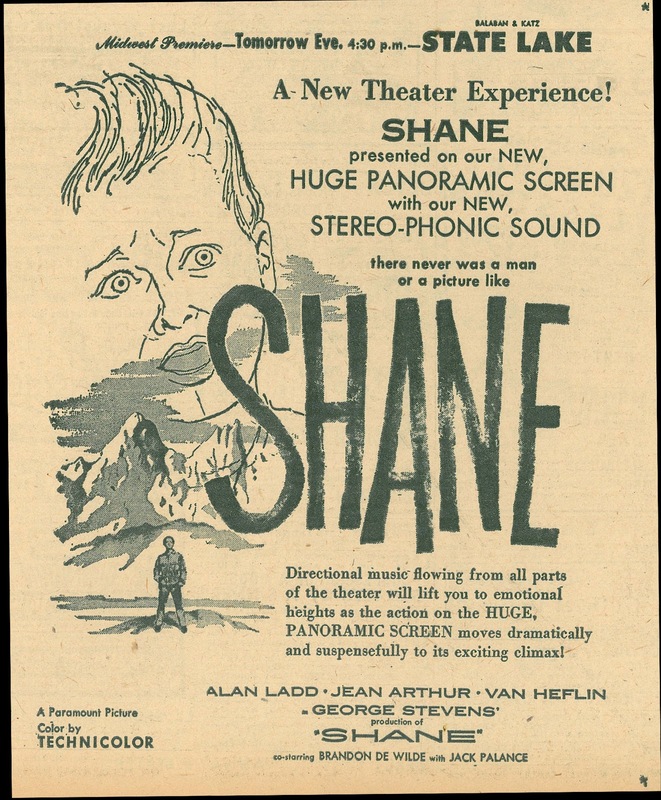 This event came in the wake of Stevens' falling-out with Paramount over the NBC showing of A Place In The Sun, and there is possibility of his having spoke candidly on the Shane matter, assuming the topic of its 1953 widescreen release came up. 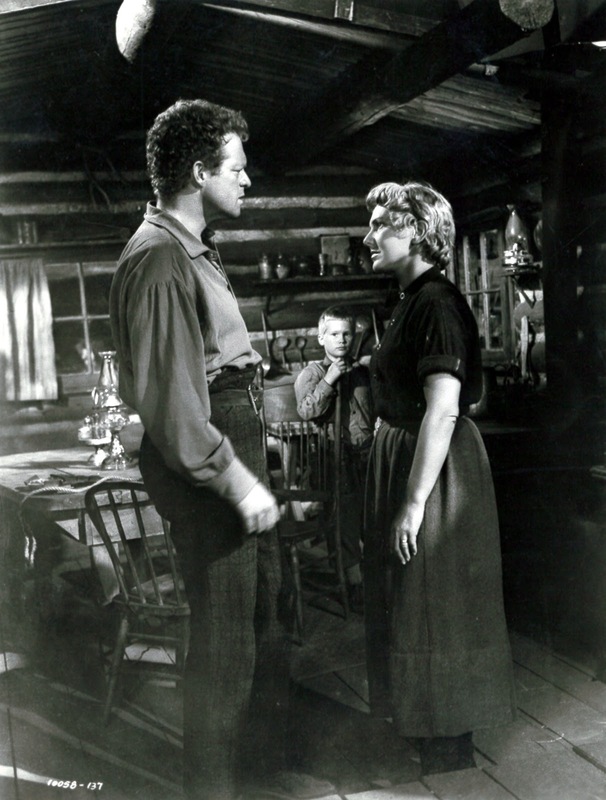 My question, then: Is there a transcript or recording of George Stevens' appearance in Madison on 11/21/66, or does anyone from the audience that night recall what, if anything, the director might have said about Shane's proper ratio? 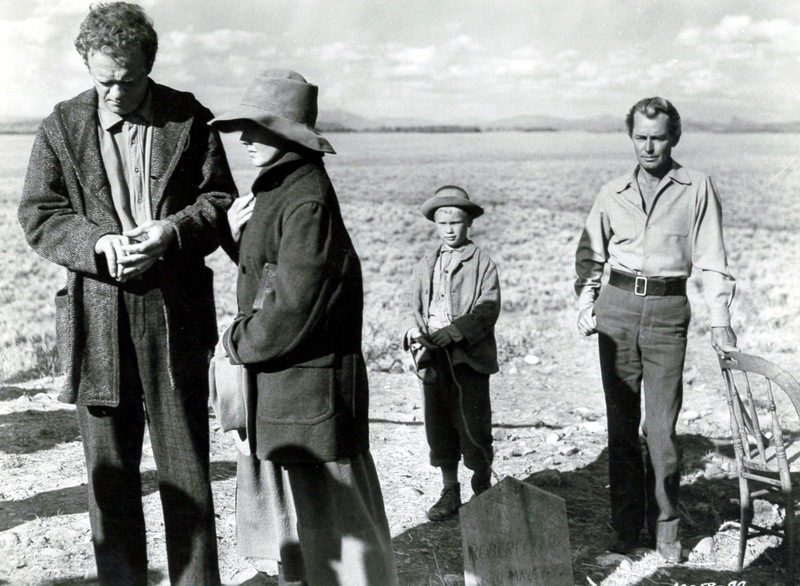 The University Of Wisconsin was a pioneering site for serious film studies, and I suspect there is some written or audio record of Stevens' observations at the Shane screening. Might this be surviving evidence of the director's true intent with regards presentation of his 1953 classic? I understand now that Woody Allen has spoken to the Shane matter in a letter to Hollywood Elsewhere's Jeffrey Wells, the latter crusading for several weeks in favor of the film's Blu-Ray release in full-frame. Greenbriar is in agreement with Mr. Wells, as well as archivists Bob Furmanek and Robert Harris. The latter two are also on record for Shane in 1.37, and have done research to back their positions. Furmanek and Harris are lifelong historians and gilt-edged reliable. My own past with Shane amounts to stills/ad art collected, and a banged-up 16mm syndication print treasured from summer 1975 for being IB Technicolor, making its wear and splices tolerable. I would sure have hated losing blue skies from that, and like it or no, sky is part (but only part) of what we will lose if Shane goes out in cropped format. Given that outcome, lots will be crying "Come Back, Shane!" to discarded DVD, laser-discs, VHS, and for myself, that worn 16mm having rode off years ago to a collector who's luckier than I'll be once this proposed Blu-Ray comes out. When wide screen became the norm, George Stevens would work within this context, most memorably with "The Greatest Story Ever Told." 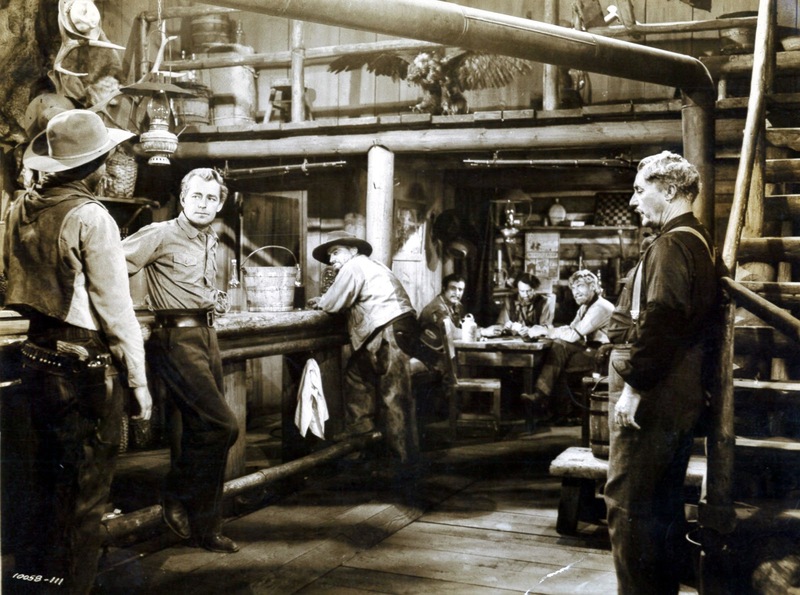 This film, produced in Super Panavision 70 for the exhibition on the Cinerama screen, had an aspect ratio of 2.75:1. I regard it as a failure, though a magnificant one, in its artistic reach and ambition. There are scenes in it unsurpassed in their beauty, as though Stevens was exploring the very limits of what could be presented through the film medium. As for "Shane," it seems such a pity that the studios of the time were so swept up in the inital craze for wide screen that they would sacrifice even a film of this quality to a mere simulation of it. You would think that a more authentic presentation would find greater support at the box office, but the Paramount executives defered to their sense of showmanship, apparently afraid that people would not even care to see it unless they could be assured that it was just as big as the wide screen films being released. 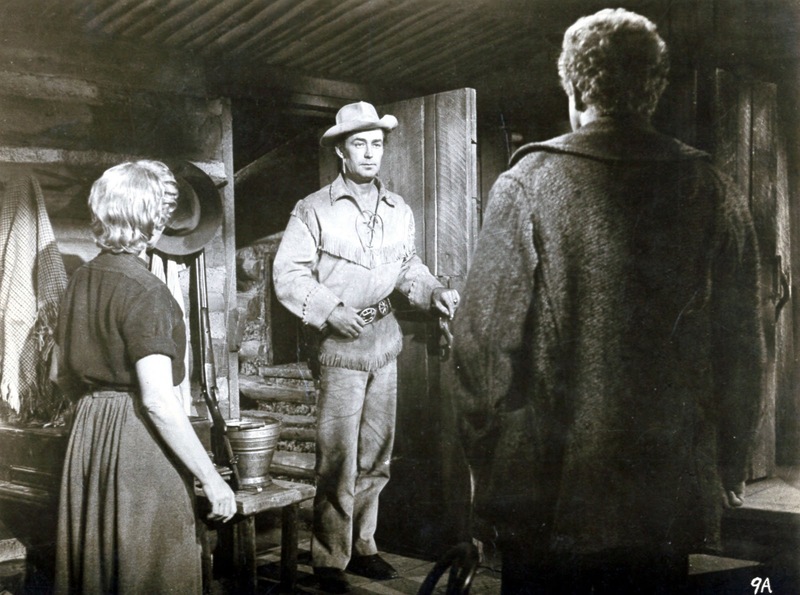 There was a sense then that films had to appear "special," if the public was to be lured from their television sets, even when a film like "Shane" was already quite special in itself. We don't have to be limited by the constraints of other times, however. Let "Shane" come back to us, just as it always should have been. I posted a comment last evening about the alteration in the soundtrack of Shane's ending which may get a little lost now that this informative new blog entry about the movie has been posted. Just as alterations to the ratio aspect of the film from George Stevens' original masterpiece are a concern, so, too, is the soundtrack. I hope that the original final words uttered in the film, "Bye Shane," are not lost in this new version, as they were on the DVD that has been available for so many years now. Yes, John, as you pointed out, it may indeed be owners of old video tapes or 16mm prints of the film that will have the "real" Shane, as envisioned by Mr. Stevens. I made a comment last evening, which may get little lost now that this new followup blog entry has been posted. Therefore, John, I hope you don't mind if I repeat it, to a degree. Just as the original aspect ratio of Shane is of concern, so, too, is the soundtrack. In that respect, I hope that the blu-ray version, unlike the standard DVD that has been available for years, will return Brandon de Wilde's original two words uttered "Bye Shane" to the film. 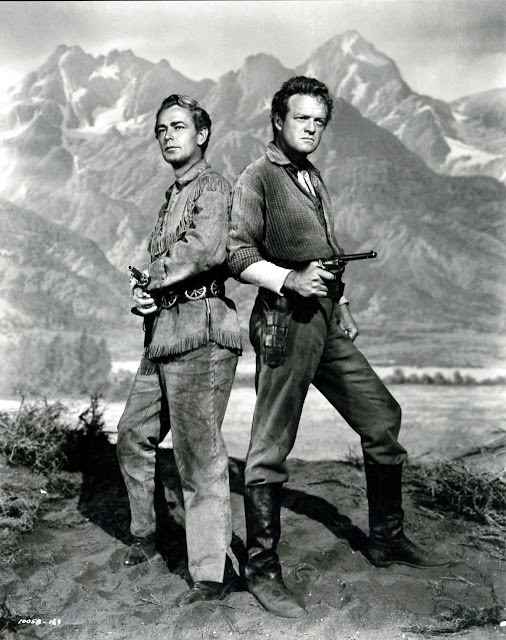 I wonder if anyone has ever heard if George Stevens Jr. ever complained about the DVD release, in that respect. A LOT of amazing research and images here, Bob being a leading authority in this field in addition to all-round film history expertise. Thank you very much, John. I'm still finding material on SHANE. John - do you happen to have any info on the re-release dates for SHANE?!?? "Shane" was reissued by Paramount in 1966, with a fresh campaign, new prints, etc., for which it earned $706,000 in domestic rentals.